A sportsbook offers the public a venue to place bets on different sporting events including professional and college football, professional and college basketball, baseball, hockey, auto-racing, soccer, boxing, golf, and mixed martial arts, even horse racing. The sportsbook is the bookmaker, an intermediary between the bettor and the oddsmaker. The oddsmaker is the person or group that establishes the betting lines. Sports betting is essentially a contest between the bettor and the oddsmaker. When the bettor places a wager on a particular team for a certain sporting event, he is basically comparing his views of that team's chances with that of the oddsmaker's. The challenge for the bettor is to gather and analyze as much information as he can about a game, weigh the probabilities of each team winning, and subsequently compare his opinion to the oddsmaker's. If the bettor makes the right judgment, he wins. It's as simple as that. There are three types of sportsbooks: traditional or land-based, online and betting exchanges. Sportsbook betting is popular in the UK and Australia and many other parts of the world. In the United States, Nevada is the only state that allows betting on all major sporting events. That fact alone draws thousands to Las Vegas every year. A Las Vegas sportsbook is typically located in a separate area within a casino and it is equipped with a seating area in front of television monitors that telecast live sports events. This allows all bettors to receive information on the results of their events instantaneously. In Britain, traditional betting parlors can be found on the street corners of London, Manchester and many other major cities and towns. The bulk of wagering is placed on soccer and horse racing. These betting parlors have long been characterized as being "smoke-filled" and having a "seedy" atmosphere. In recent years however, there have been a concerted effort to uplift the state of these betting parlors and attract a wider betting audience. In recent years, online sportsbooks have become very popular. 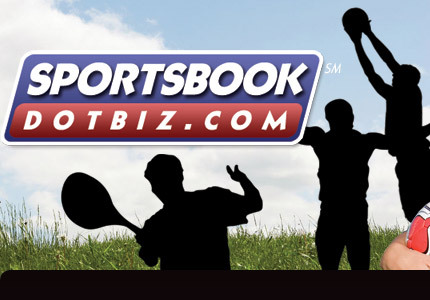 Internet sportsbooks operate from many countries including Antigua, Australia, Costa Rica, England and Ireland.